Malathion residue can linger in bins for months after treatment and can be transferred from the bin to canola seed, putting marketability at risk. 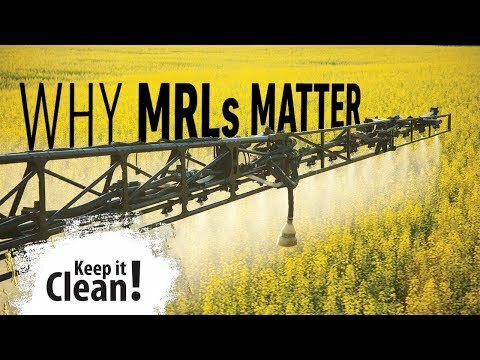 Canola found with malathion residues is unacceptable for export customers and can damage Canada’s reputation as a trusted supplier. 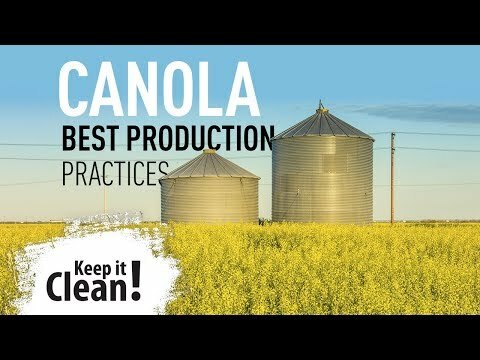 Reduce the risk of contaminating your harvest by planning storage requirements accordingly – never use malathion to prepare canola for storage or treat bins in which you plan to store canola. Malathion is often used to treat cereals and other non-oilseed grains in bins that have been contaminated with insects. Any grower doing so should record the date of treatment and not use that bin to store canola in this growing season. Clean bins thoroughly, making sure they are free of treated seed and animal protein, such as blood meal and bone meal. If insect treatment is necessary, only use approved products (e.g. diatomaceous earth on cereals). Malathion must never be used to prepare canola for storage or to treat grain bins that will store canola. Condition crops to moisture and temperature levels suitable for long-term storage and ensure that bins are cool, dry and well ventilated. Be sure to check the condition of storage bins regularly. Help keep markets open for all by keeping malathion out of canola bins. For more information on keeping your canola clean, contact your local Canola Council agronomy specialist. Metconazole (i.e. Quash) – Consult your grain buyer before application.